In most shots our standard equipment does what is required. Yet, the standard shot is not always what we want. Sometimes we want to make some special effort to provide a different effect, a new view. There are many thousands of photography hacks. Each one can give us something different. Some are more radical than others. But what it really comes down to is making our equipment fit our need to get a specific type of outcome. Regular readers will know that creative work often involves visualisation. Seeing a hoped-for image outcome in your head helps you to have ideas. Such pre-thinking can help you plan how to use or adapt your equipment. To get the desired result you may have to do all sorts of small adaptions. Walk into any working studio and you will see, card, boards, gaffer tape, clamps, flags. They are all there to help jury-rig things into a new way of creating an effect for the shoot. 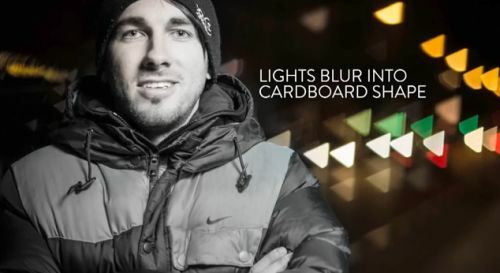 These photography hacks are the mainstay of studio work and important on location too. You can do lots of simple things to change the light, the colours, the shadows, the effects of light on your lens, and so on. All that is required is to try and think ahead about what you want to achieve. Then, find ways to change your equipment to get the effect. Familiarity with your equipment helps. As you get creative, then other ideas will come to mind. Look around for ways to change things, or to get new effects. In the video, “7 Simple Photography Hacks” you can get an insight into some of the basic ideas. These are a good start for some examples you can develop yourself. Spend a little time thinking about things you have around you. See if some of them could be used in your own photography hacks. The “Vaseline” photography hack in the video can be a bit messy. Only do it on a filter, not the lens. And, try to keep any of the “Vaseline” off the rest of the camera. It is difficult to clean up too. So use an old filter. Cut a section out of a fine quality pair of ladies tights (psst… make sure they are surplus first!). Pull the piece tight across the end of your lens. Fix it in place by securing it with elastic bands tight enough over the end of the lens to hold it taught. Take your photo through the material of the tights. To vary the effect, you can make a central hole in the material. Try different colours, try different types of tights knit. This one is a very old photography hack. It used to be used a lot in wedding shoots years ago. It is just as effective today. Have a go. It is fun. Let us have some of your shots. We would love to put up a few for others to see. This entry was posted in DIY Projects, Equipment, How to..., Light and Lighting, Photography, Things to try, Video included. Bookmark the permalink.